External backup battery/charger with 4.5 - 5 hours of charging. FLIR ONE features both FLIR's revolutionary Lepton thermal camera and a VGA visible light camera. Using MSX Technology, FLIR ONE blends images from both cameras to create thermal images with enhanced detail and resolution. FLIR ONE easily connects to Android products containing a micro-USB as well as APPLE mobile products containing a lighting port, including iPhone 6/6 Plus smartphones and iPads. FLIR ONE enables you to measure the temperature of any spot in a scene between -4°F and 248°F (-20° to 120°C). It can also detect temperature differences as small as 0.18° F (0.1° C). Select between seven dynamic video palettes, including B/W, W/B, rainbow, contrast, arctic, hot/cold, and iron. 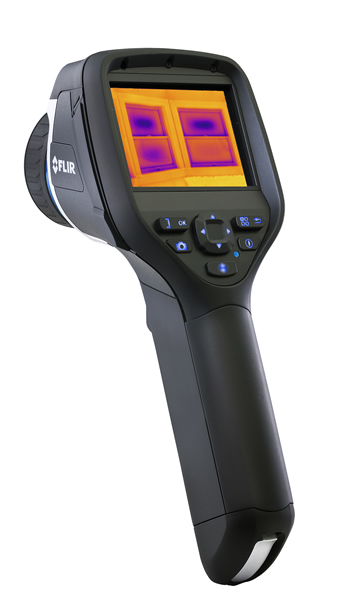 The FLIR ONE App can be found in the google Play store (https://play.google.com/store/apps/details?id=com.flir.flirone&hl=en) or in the Apple Store (https://itunes.apple.com/us/app/flir-one/id875842742?mt=8) YOU NEED THE APP TO USE THIS TOOL..
To see if your device is compatible with the FLIR ONE please review (http://www.flir.com/flirone/android/) for Android or please review (http://www.flir.com/flirone/ios/) for Apple. Temperatures on surfaces and shows areas of heat gain or loss through materials. 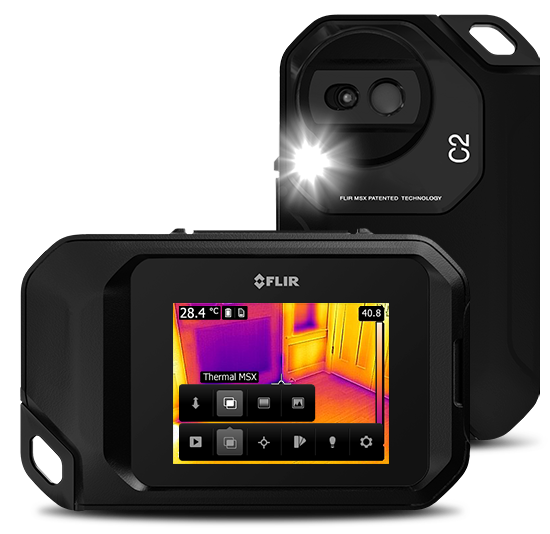 The FLIR E50 is a compact easy to use thermal imaging camera designed for electrical and mechanical inspectors.